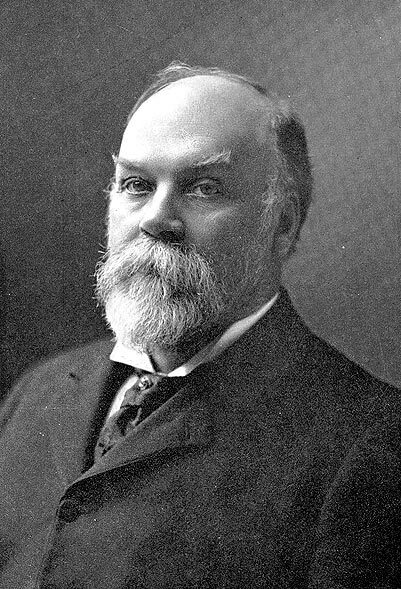 January 31st, 1907: Timothy Eaton, founder of the major department store and mail-order company bearing his name, passes away. He introduced his famous catalogue in 1884 and opened his first factory in Toronto in 1889. It’s interesting to see the progression of wealth for .1%’ers. Arguably the Jeff Bezos of his day, Eaton’s net worth was a comparatively paltry $175 million in todays dollars. Compare that to Jeff’s $60 billion (now about half that thanks to his impending divorce) and it’s clear to see how far the titans of industry have come in stockpiling wealth. Aura Health Inc. (CSE:BUZZ) stand to benefit from the final approval of Israel’s export law for medical cannabis. On January 27, the Israeli government announced the new law, approving the export of Israeli-grown cannabis to the global market.The law makes Israel the third country in the world, after Canada and the Netherlands, to approve export of medicinal cannabis. The primary export market is expected to be the European Union, one of the world’s largest markets for medical cannabis. This is particularly beneficial to Aura, as the Company continues to grow its presence in the E.U. Chemesis International Inc. (CSE:CSI) announces its wholly owned subsidiary La Finca Interacviva-Arachna Med plans to commence construction of its GMP certified extraction facility before the end of Q1, 2019 in Bogota, Colombia. The state-of-the-art facility will also house a certified production lab, which will have a large production capacity for both domestic and international markets. Canadian strategic metals company, Chimata Gold Corp. (CSE –CAT) announces the signing of a Term Sheet between Transamine Trading S.A. and the Kamativi Tailings Company for a USD $9.5 Million finance and off-take facility for concentrate produced from the Kamativi Tailings Lithium Project. Canadian Metals Inc. (CSE: CME) announce that the Ministry of the Economy and Innovation has authorized funding to support the feasibility study for the construction of a silicon plant in Baie-Comeau. This financial assistance, in the form of a grant of up to a maximum of $1,000,000,will come from the Forest Industry Diversification Fund from Resolute Canada Inc.
Explorex Resources Inc. (CSE:EX) plan to conduct a comprehensive exploration program at the Kagoot Brook Co-Mn-Base Metals project in New Brunswick, consisting of a detailed geophysical survey followed by a 2,000m drill program. Historical work at Kagoot Brook has delineated two drainages, two kilometres apart, that exhibit a series of remarkably anomalous cobalt values up to 6,000 pp* in the silts. West Red Lake Gold Mines Inc. (CSE: RLG) has intersected 14.18 grams per tonne gold over 7.8 metres including 35.26 gpt Au over 3.0 m during exploration drilling at the NT Zone on the Rowan Mine Property in the prolific Red Lake Gold District of northwestern Ontario. They also intersected 6.51 gpt Au over 9.3 m plus several additional positive gold intersections from shallow drilling. New Jersey Mining Company (CSE:NJMC) announced that recent core drilling intercepted a large interval of potentially bulk-mineable gold mineralization adjacent to the open pit. Quadron Cannatech Corporation (CSE: QCC) announce the completion of the sale of an end-to-end cannabis extraction and processing facility to Cannaworld Ventures Inc.
Cannaworld Ventures is a participant in a large-scale 38,000 sq ft extraction and processing facility. The facility will be built-out in phases -Phase-I will focus on CO2 extraction and will include all processes from preparation of biomass to a variety of end-product (formulated cannabis oils). Montego Resources Inc. (CSE: MY) announce an updated mineral resource estimate for the Taylor Silver Project in eastern Nevada. This resource remains open for expansion and has demonstrated potential for higher grade silver mineralization. Congratulations to Weekend Unlimited Inc. (CSE: YOLO) on winning the POT lottery. The CSE, TSX and Aequitas NEO Exchange announced the lottery for the POT symbol in January 2019. With the symbol in high demand, many eligible issuers currently listed on any of the exchanges, or applicants who have made listing applications to the exchanges, submitted ballots for the POT symbol. Spearmint Resources Inc. (CSE: SPMT) has received the remainder of the airborne data gathered over the Chibougamau Vanadium Prospect comprising of 13,985 contiguous acres located approximately 12 km east of Chibougamau, Quebec. The airborne data shows the presence of multiple sharply defined areas of northeast trending magnetic susceptibility. agreement for the delivery of 400 metric tonnes of certified organic hemp from a licensed Croatian producer. 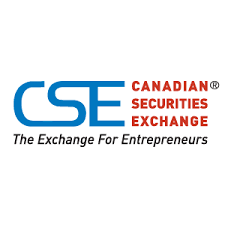 The CSE continues to make big, galloping strides as the lifting trend accelerates into the first quarter, opening at 781.11 on Monday and closing at 824.30 for the week. It’s always fun to see CSE-related activity in-the-wild as it were. Global press coverage for the so-called POT lottery was a sight to behold, as Weekend Unlimited won the right to use ‘POT’ as their trading symbol, appearing on major news networks and print organizations around the world. What it proves is that the world appetite for cannabis related material is ever increasing. From products to news stories, the interest in weed related, well, everything, is only going to getso much larger. And that’s a good thing for investors, for the CSE, for Canada and for profits.